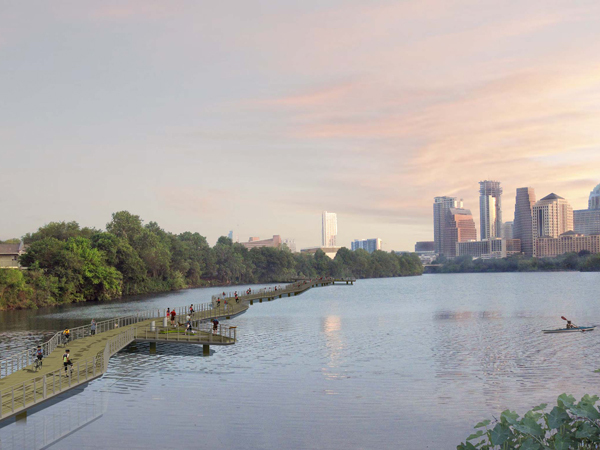 The Lady Bird Lake Boardwalk project consists of a 7,150 linear foot trail that incorporates on-grade trails, boardwalks out over the lake, and pre-engineered bridge structures through the trees. Visitors to the hike and bike trail were forced to use the Riverside Drive sidewalk over Interstate 35. This project extended the trail by over a mile. 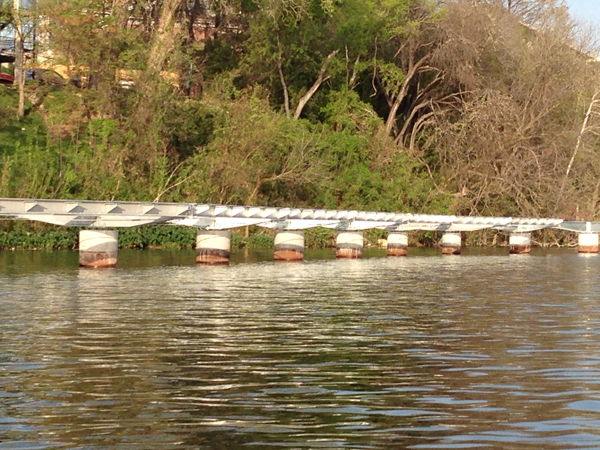 Along the boardwalk, visitors have the opportunity to rest under three galvanized steel shade features, engineered by Structures, and enjoy the Austin skyline. 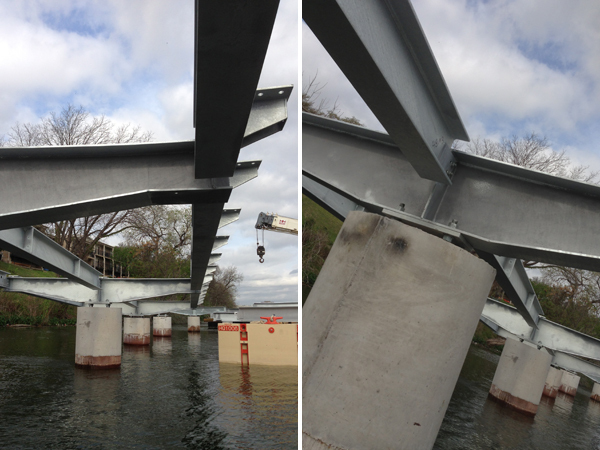 Along Blunn Creek and Lakeshore Park, the trail veers off through the trees to connect to Riverside Drive by incorporating pre-engineered steel bridges which span between elevated galvanized steel belvederes, which Structures designed. These belvederes are an architectural feature designed and situated to look out upon the natural beauty the trail has to offer.